As Metro works to retire the oldest railcars in its fleet, known as the 1000-series railcars, a new issue has surfaced: asbestos. Metro's 1000-series railcars contain "a small amount of asbestos in the heater box behind the evaporator in each railcar," according to a contract proposal from the transit agency (PDF). Right now there are 280 1000-series railcars that run on every line of the Metro system. "These 40-year-old vehicles have a small amount of asbestos that is sealed outside the passenger cabin and not accessible to riders," Metro spokesperson Sherri Ly wrote in an email. "It is also important to note that, aside from being completely inaccessible to riders and outside the passenger cabin, the material is also non-friable, meaning it cannot be crumbled and will not release fibers unless it is abraded" -- that is, sawed or drilled through," said Metro spokesman Dan Stessel. "It does not pose a hazard to riders. The only reason for this procurement action is due of the imminent disposal of the cars," Stessel said. Metro also has three 1000-series railcars where the asbestos is exposed. But those railcars -- numbers 1079, 1107 and 1170 -- have not been in service since 2009, Ly said. Metro is asking a contractor to safely remove and dispose of the asbestos and then retire the railcars. Also, this new contract proposal states, "if the Contractor discovers additional asbestos, Contractor will remove it at no additional cost to the Authority." While Metro would not say specifically where the equipment containing the asbestos is located, a 2009 document (PDF) says the evaporator units are located at the front and end of each 1000-series railcar. According to the Environmental Protection Agency, exposure to asbestos increases the risk of developing lung disease and lung cancer. Metro passengers can easily tell which series of railcar they're riding on by looking at the number on the top corner outside the railcar. On the inside of the 1000-series, the railcar number is printed on the doors at the end of the railcars. "I thought asbestos was completely gone almost everywhere," said Metro rider Kon Yi Tuesday. "I'll be avoiding those (railcars) as much as possible." "Good gracious," said one train operator who asked to be kept anonymous when told about the issue. "We are the ones constantly in the trains." A spokesperson for Amalgamated Transit Union local 689, which represents most front line Metro workers, was looking over the documents and not immediately available for comment. 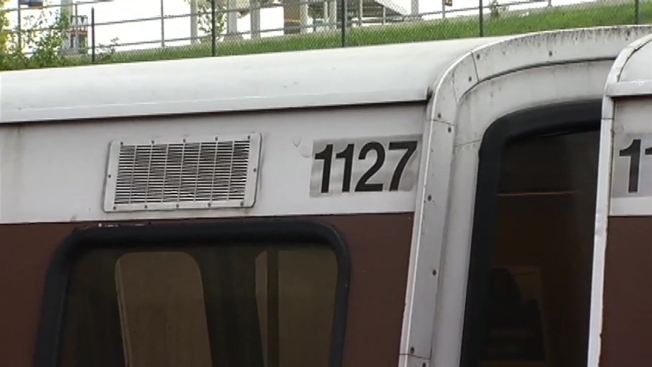 Metro has been told by the National Transportation Safety Board to get rid of the 1000-series railcars, which date back to the opening of the transit system. Metro says it is working on it. "As the (new) 7000-series railcars enter service, Metro will begin the process of retiring every 1000-series railcar," writes Ly. As soon as the asbestos can be removed, that is.